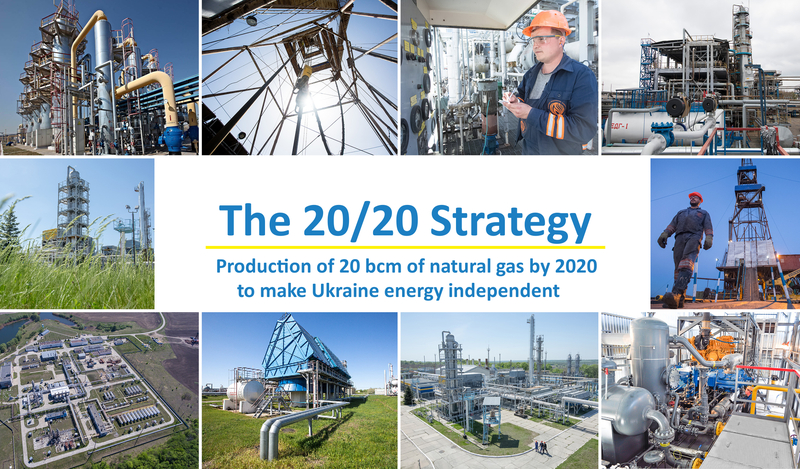 In 2018 Ukraine plays an important role at the European gas market. - In 2016-2017 natural gas production in Ukraine has steadily grown after a prolonged decline. - Ukraine remains main transit avenue of Russian gas to EU. JSC UkrGasVydobuvannya (UGV) is the largest gas production company in Central and Eastern Europe. In Ukraine, it is a major player specializing in natural gas and gas condensate production. JSC UkrGasVydobuvannya, a 100%-owned subsidiary of Naftogaz, produces 15.25 bcm of gas, which accounts for 73% of total gas production in Ukraine. This includes gas produced through joint venture agreements and gas used for the company’s operating needs. The company has succeeded in improving gas production owing to the measures implemented in line with the 20/20 Strategy envisaging production of 20 bcm of natural gas by 2020. In order to accomplish this UGV has conducted the largest in Central and Eastern Europe investment programme to the tune of 4 bn USD by 2020. JSC UkrGasVydobuvannya develops gas, oil, and oil and gas condensate deposits in Kharkiv, Poltava, Sumy, Donetsk, Luhansk, Dnipropetrovsk, Lviv, Ivano-Frankivsk, Zakarpattia, Chernivtsi and Volyn regions. The company’s geological exploration of new hydrocarbon deposits is carried out in the Dniprovsko-Donetska cavity and the Carpathian Mountains. The company incorporates 11 branches, including 3 gas production divisions, drilling division, gas and gas condensate processing division, and UGV-Service. JSC UkrGasVydobuvannya incorporates UkrBurGas Drilling Division (branch), which is the largest drilling enterprise in Ukraine, 4 drilling departments, a plugging department, technological transport and special equipment departments, also part of the branch, which provide the full range of well construction operations. JSC UkrGasVydobuvannya owns a chain of 19 gasoline filling stations in Kharkiv region. In the near future, qualitative and quantitative development is planned for a private retail chain, including rebranding. In 2016, total sales amounted to 537.3 thousand tons with the total cost of UAH 7.1 billion.